Character – Everyone wants to have a role so they learn how to cooperate, be patient, and take turns (social development). They also learn how to be careful (don’t touch the hot tray or oven), put things back, and clean up. Fine motor – They learn how to scoop and pour. Elijah measuring out the floor. It's okay to make a mess! Math – Measuring using a cup or spoons (fractions). 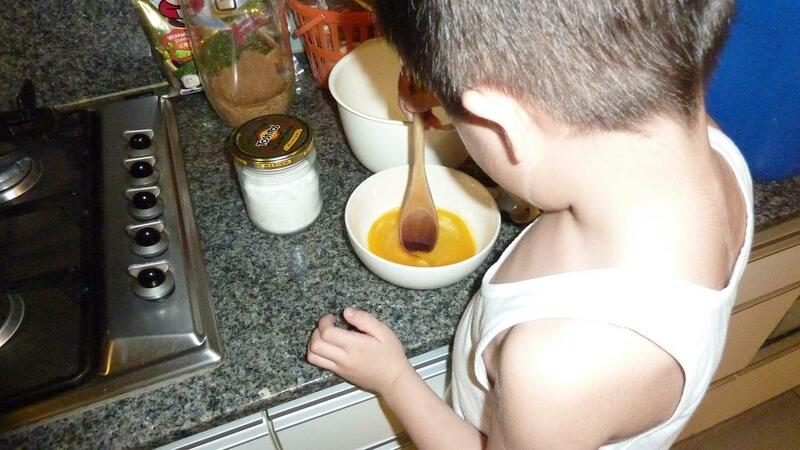 They also learn estimation because we don’t put in all the sugar or salt that the recipe calls for. You can also ask questions like, how many cookies do you think we will be able to make with this dough? Language – We communicate, dialogue together and they need to listen to instructions. For my eldest, Elijah, he can read the instructions himself. Science – Although we didn’t cover this the last time we baked, there is something to be learned about chemistry and how matter changes from solid to liquid to solid. 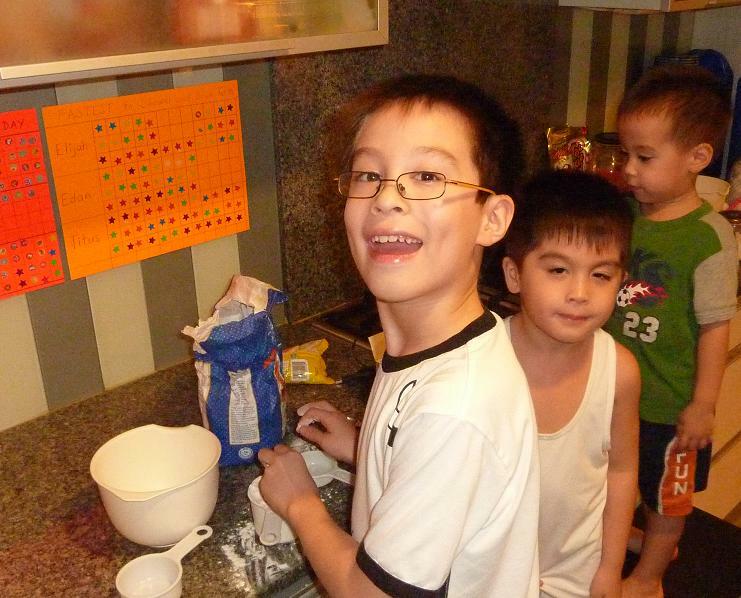 Home Economics – They are learning how to use and handle tools in the kitchen. And of course, the best part is there is a reward for all that work and effort – yummy dough (but don’t eat too much because of the raw eggs) and yummy cookies! I don’t have a picture to show because we ate them all! Previous Correct Attitude Issues Immediately! Blogs to learn good things from are oases in today’s cyberspace. Lea, I and Faith, herself, surely miss our homeschooling days. We do continue on, though, in taking part in her learning—much thanks to the training we had with TMA. God bless. Regards to the family and the TMA family. I love this entry. 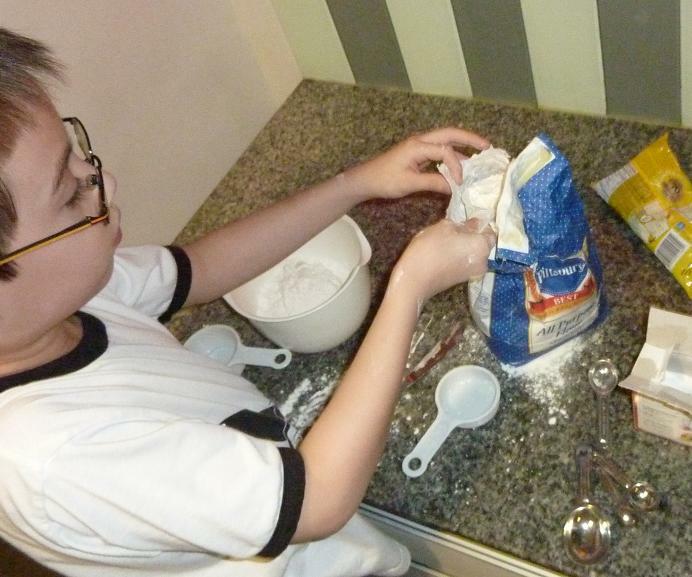 Good notes on the many things kids can learn when the bake. Awesome! Keep this blog up! Hi Mr. Morada! I’m glad you and your family are well!